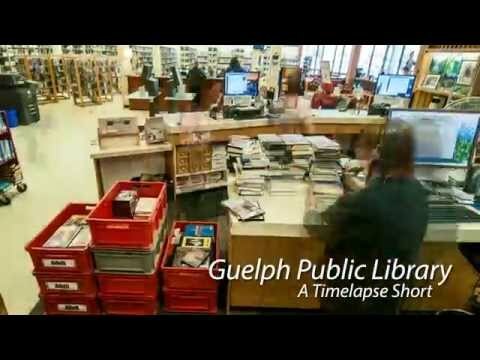 Guelph Public Library benefits the entire community - providing lifelong learning opportunities and the freedom to read, learn and discover for all. The most used facility in Guelph, our library offers accessible information, programming, technologies, resources, and services to meet important community needs. More than 3,000 people enter our doors each day seeking the learning tools necessary to enrich, improve, and transform their lives. Public funding supports our library system, while private gifts help us thrive. We rely on donors to create life-changing programs, services, spaces, and collections that wouldn’t otherwise be possible - funding projects that introduce children to the joy of reading, help newcomers feel welcome, provide technologies to people who don’t have access in their homes, and deliver outreach to those unable to visit our locations. These gifts shape the lives of kids, adults, seniors, and families across our community – affording everyone endless opportunities to explore, connect, and thrive.